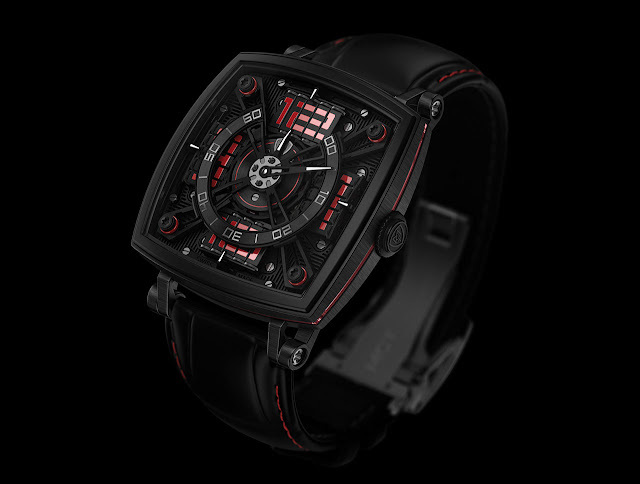 The resolutely technical design of the Sequential One – S110, an evolution of the previous model made by Eric Giroud, is the work of watchmaking designer Fabrice Gonet. Its sophisticated and immediately recognisable style is a tribute by MCT to the emergence of a style combining the avant-garde with traditional Swiss horology. 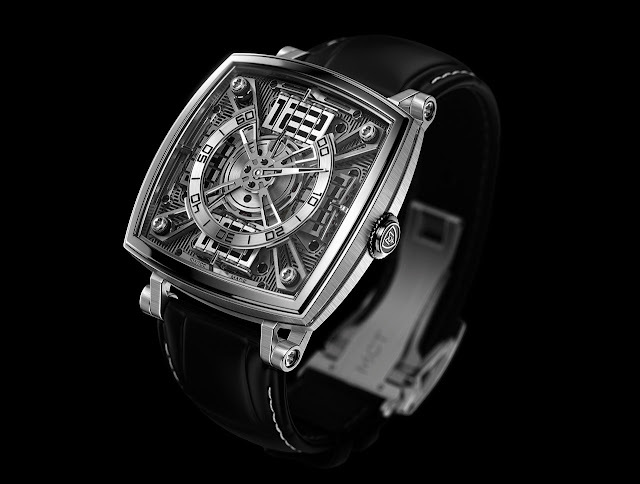 The openworked dial has been entirely removed in order to reveal the depth of the watch and to accentuate the perspectives created by the prism assemblies, the cross-shaped bridge and the minutes pointer. The minutes disc, the central element of the Sequential One – S110, highlights the complexity of the design while underscoring the harmony of the passing of time. The pointers, like the jumping hour hand, demonstrate meticulous attention to details, while the new style of the numerals on the prisms and the minutes disc are decidedly more contemporary.